The Avocado & Olive Ultra Smoothing Shampoo uses a blend of moisturizing ingredients to tame curly, frizzy, hard-to-manage hair. Luxuriously-rich Olive Oil coats each strand to lock-in moisture and create brilliant shine while Avocado Oil and Extracts treat, condition and soothe locks, giving you soft, silky hair. 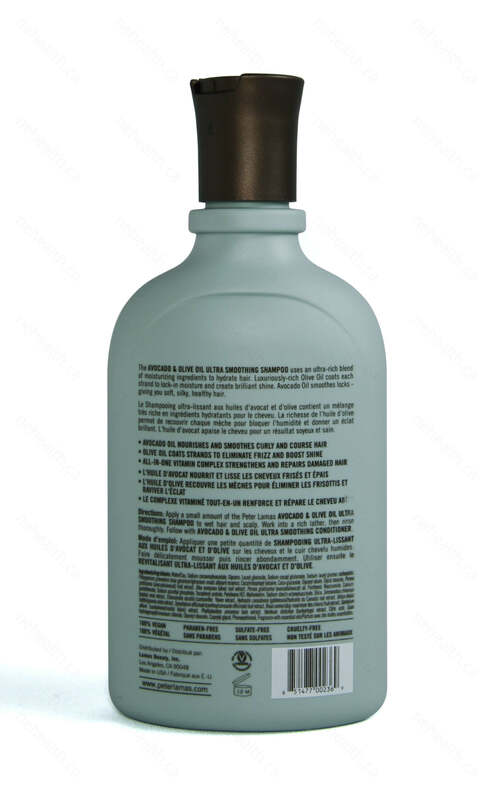 A combination of Sandalwood Extract, Barley Extract and Panthenol (Vitamin B5) work to repair and strengthen damaged locks while Amino acids and natural proteins fortify hair to prevent future damage. Smooth coarse, frizzy hair and tame unruly curls. 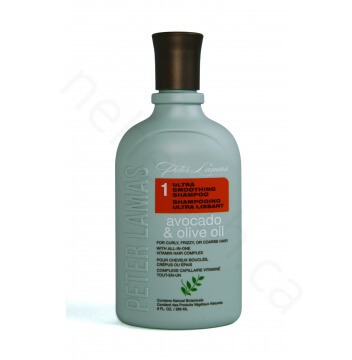 Provide rich moisture to leave hair glossy and smooth. Fortify hair with hydrating botanicals to strengthen hair. Water (Aqua), Sodium Cocoamphoacetate (and) Glycerin (and) Lauryl Glucoside (and) Sodium Cocoyl Glutamate (and) Sodium Lauryl Glucose Carboxylate, Pelargonium Graveolens (Rose Geranium) Allplant Essence*, Cocamidopropyl Betaine, Coco-Glucoside (and) Glyceryl Oleate, Glycol Stearate, Persea Gratissima (Avocado) Fruit Extract, Olea Europaea (Olive) Leaf Extract, Persea Gratissima (Avocado) Oil, Persea Gratissima (Olive) Oil, Panthenol, Niacinamide (Vitamin B3) (and) Calcium Pantothenate (Vitamin B5) (and) Sodium Ascorbyl Phosphate (Vitamin C) (and) Tocopheryl Acetate (Vitamin E) (and) Pyridoxine HCI (Vitamin B6) (and) Maltodextrin (and) Sodium Starch Octenylsuccinate (and) Silica, Simmondsia Chinensis (Jojoba) Seed Extract, Chamomilla Recutita (Matricaria) Flower Extract, Hydrastis Canadensis (Golden Seal) Root Extract, Urtica Dioica (Nettle) Extract, Symphytum Officinale (Comfrey) Leaf Extract, Rosa Canina Fruit Extract, Santalum Album (Sandalwood) Extract, Phellodendron Amurense Bark Extract, Hordeum Distichon (Barley) Extract, Citric Acid, Guar Hydroxypropyltrimonium Chloride, Glyceryl Stearate, Caprylyl Glycol, Phenoxyethanol, Fragrance with Essential Oils. 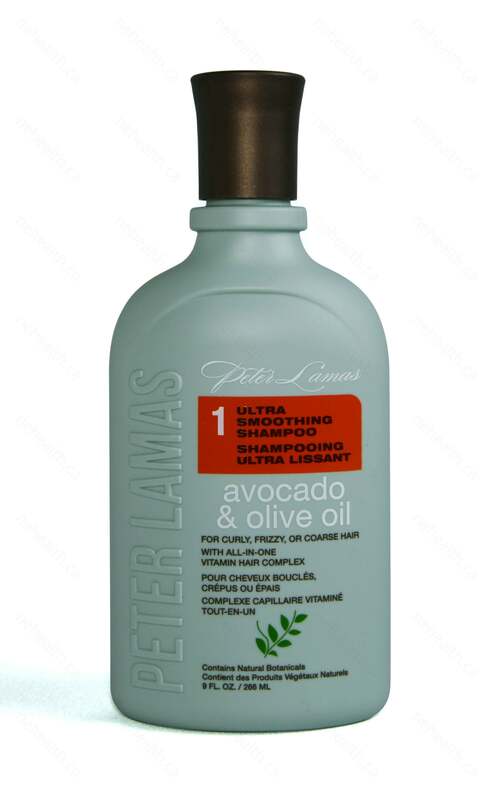 Apply a small amount of the Peter Lamas Avocado & Olive Oil Ultra Smoothing Shampoo to wet hair and scalp. Work into a rich lather, then rinse thoroughly. 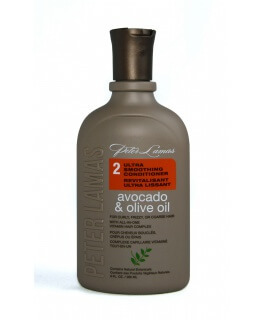 For best results, follow with Peter Lamas Avocado & Olive Oil Ultra Smoothing Conditioner.